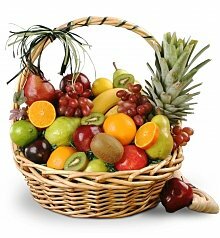 Send sweet and healthy birthday wishes with our fresh birthday fruit baskets. Coming up with birthday ideas for someone can be difficult. 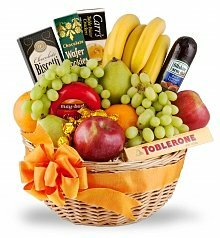 Sending a birthday fruit basket is a great way to celebrate their special day. 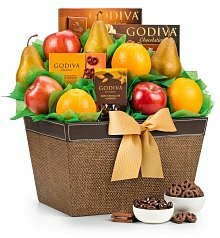 We suggest the following when sending a celebratory birthday fruit basket: 1. 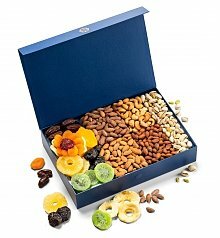 Choose based on fruit you know they'll enjoy. If they are allergic to any types, be sure to take note. 2. Find the right pairing. 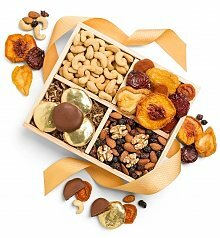 Wine, cookies, and chocolate are great options for a prime pairing. 3. 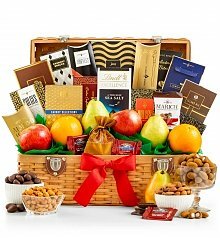 Gift to share. 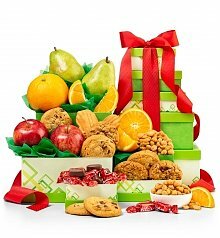 If delivering to their office, consider what they might enjoy sharing with others. 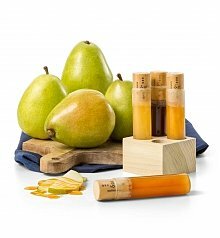 Fruit is an ample gift on its own or it can be combined with other unique birthday gifts for a memorable presentation. For instance, when considering a child's birthday, many of our customers additionally send birthday balloon bouquets for a festive touch. 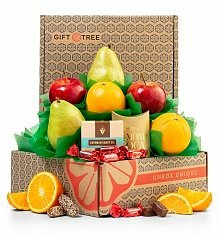 Many times family members send gifts of fruit along with birthday wine gift baskets in anticipation of a party or family dinner. 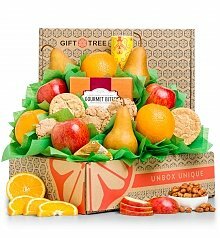 Of course sending fruit with birthday flowers is a time-honored tradition that everyone appreciates. 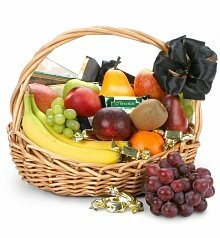 Sometimes it can be difficult to distinguish between birthday gift baskets and birthday fruit baskets. 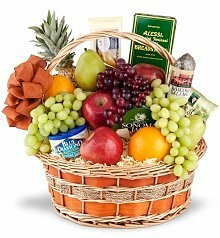 While both basket types strive to achieve a similar level of gourmet elegance, birthday fruit baskets can also contain fresh-cut flowers or be composed entirely of fruit. 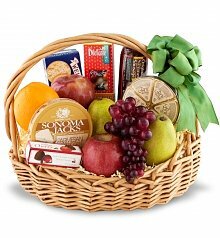 Fruit baskets can also include specialty food items such as cheese, chocolates, cookies, crackers, wine, cakes, and much more.